The Special Tomato EIO Push Chair is the best of both worlds…a special needs stroller that provides mild to moderate positioning support AND a light-weight stroller that provides all of the bells and whistles that make it easier for the caregiver on the go! Please click on the Size Chart Tab above to see how the seat dimensions match with your child's specific measurements to verify! *All of these features are Free when you purchase the EIO Push Chair. The Maclaren Major Special Needs Stroller plus these four accessories would cost you $740.75. YOU DO NOT NEED TO REMOVE THE WHEELS TO FOLD IT! Now you can take your child with you wherever you go and you won’t have to worry about your child’s positioning needs. The EIO Push Chair will take care of that for you! Have you ever been in one of these scenarios? You’re out for a walk and your child falls asleep. How does the Special Tomato EIO Push Chair help? Recline the seat back and elevate the footrest and your child will be supported while you continue on your way. You need to go to your older child’s soccer game and need to walk through 200 yards of bumpy grass to get to the field. How does the Special Tomato EIO Push Chair help? Engage the swivel wheel lock on the front wheels, just two clicks, and venture on. The large airless wheels make a huge difference when you’re going over rough terrain. You don’t want to have to put your child in anything that looks “medical" or “institutional". How does the Special Tomato EIO Push Chair help? The EIO Push Chair has a sleek, European design. You always have to bring lots of stuff with you and need a place to put it all. How does the Special Tomato EIO Push Chair help? The EIO Push Chair includes lots of storage as standard features: large shopping basket under the seat, two water bottle holders on either side of the stroller, and a large pocket for keys, cell phones, etc, on the back of the canopy. 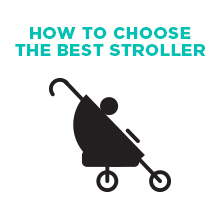 You’re afraid of having to buy a brand-new stroller every year to accommodate your growing child. How does the Special Tomato EIO Push Chair help? With the EIO Push Chair, standard features include the padded hip and back laterals that help to decrease the overall width of the stroller. As you child grows, you can remove them. In addition, you can consider using either Special Tomato Liners or the Special Tomato Sitters for more support for smaller children. As they grow, you can remove them for “instant" increased seat width and depth. This stroller offers seat back recline from 25° to 75°, footrest elevation. This lightweight all-terrain stroller only 22 lbs. Optional Special Tomato Soft Touch Liners are available to allow your child to grow with the stroller. “Thigh Depth" should be equal to or greater than the “Seat Depth" (within + or – 1 inch) to promote a proper seating position. Also pay close attention to “Hip Width", “Seat Back Height", and “User Weight Capacity" for proper sizing. Our therapists recommend that you measure your child to ensure a proper fit. Click here to view the Special Tomato EIO Manual! 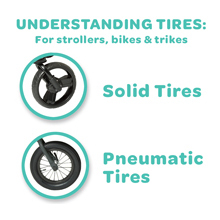 When is it Time to Replace Our Stroller?